According to some studies, more than half of all dog owners give their four-legged friends a Christmas gift. If you, or someone you’re shopping for, is looking for a perfect gift for dog lovers, you’ll want to check out The Barkens Bucket by Sniff & Barkens. Chance to be featured on Sniff & Barkens! 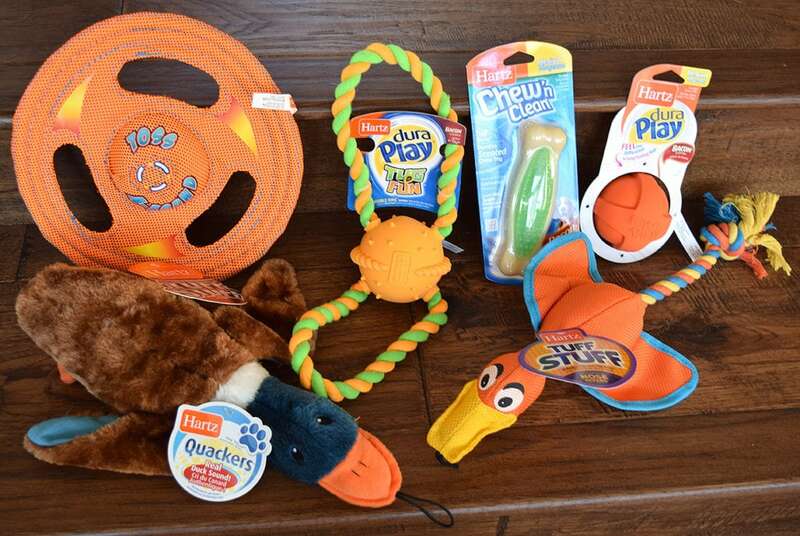 We had the opportunity to review several of the Hartz dog toys that may be featured in your Barkens Holiday Bucket – the Hartz Tuff Stuff Nose Divers, Quackers, Toss A-Round, Dura Play Ball, Dura Play Tug Fun and Chew ‘N Clean. I was seriously impressed by these dog toys, and I’ve been through my fair share of dog toys. When shopping for dog toys, I always look for toys that are extremely durable. Solomon loves to chase and chew on his toys while Judah will sit and just gnaw. We need toys that are durable and will survive serious playing and chewing. First I introduced the dogs to each toy and then I stepped back to see which dog wanted what. I was surprised when Solomon went nuts for the flyer as he usually loves balls or things that bounce. I didn’t even throw it, he just grabbed it and started running around the yard with dog-glee. I think that he really likes to be able to get his teeth around the edges of the holes for a good grip. The holes can also be used for a good game of tug. There’s a squeaker in the middle for added excitement. Judah also was a surprise when he went for the Tuff Stuff Nose Divers. He’s pretty picky about toys and the only toy he’s previously liked was bacon-flavored. I thought for sure he’d go for the Bacon DuraPlay ball or Chew N’ Clean. But the braided rope tug on that duck proved to be too irresistible for him. What’s nice about the Nose Divers toy is that the rope goes all the way through the duck for added durability. It also has a squeaker but Judah seems to enjoy chewing the rope end more. 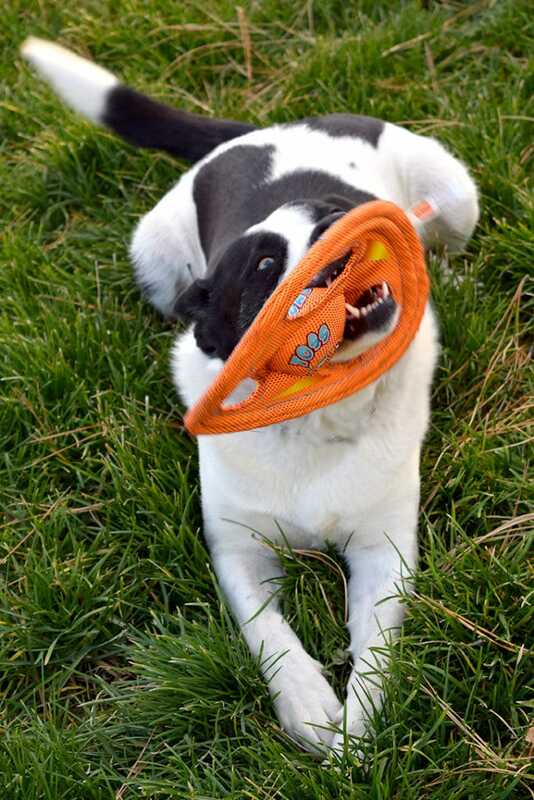 Both the Toss A-Round frisbee and the Tuff Stuff Nose Diver are made of super-durable ballistic nylon and double stitched seams so that can withstand serious chewing. I’m sure the other toys will be used soon. When I started putting the toys away, Solomon snuck over to the pile and pulled out the DuraPlay ball, and brought it to me to play fetch. A few days after first showing the dogs the toys, I brought them out again. Solomon was very interested in Quakers, gingerly taking the duck to his dog bed. Quakers is a stuffed duck dog toy that has fill that loudly crinkles. The duck actually makes a duck sound! While Solomon “hid” his new duck friend, Judah grabbed the Bacon-scented Chew N’ Clean. I love these types of dog toys because they both entertain the dogs and help them keep their teeth clean. 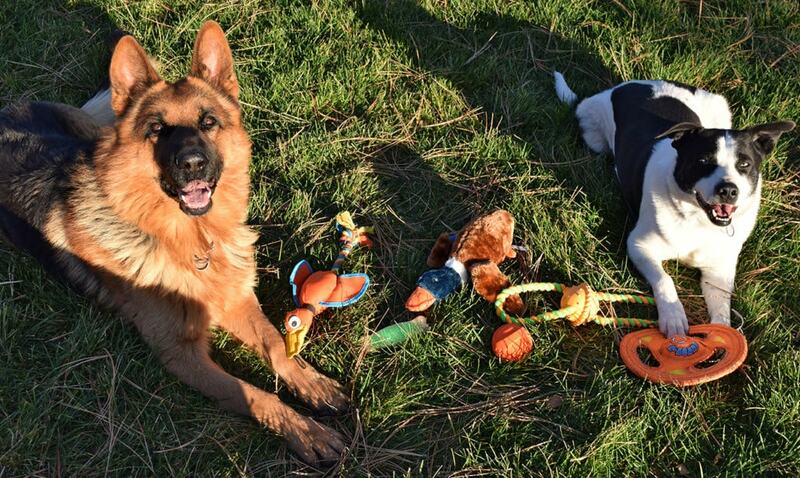 The Hartz dog toys I received were durable and of high quality. They still need to stand the test of time, but most owners of dogs who like to chew can tell pretty quickly whether a not a toy will be a long-lasting toy, which these definitely seem like they will be. The durability of the ballistic nylon fabric and smart design choices make it clear that Hartz dog toys are the perfect gift for any dog and dog owner. The Sniff & Barkens Barkens Bucket has a $50+ retail value but is available for order through November 28, 2017 for just $34.99. Shipping is free in the contiguous 48 states and all orders will ship on or before December 10 to ensure arrival in time for holiday gifting. 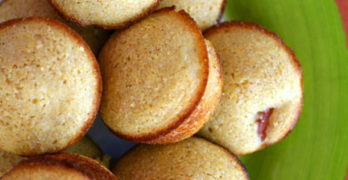 In addition, 10% of the Barkens Bucket proceeds will be donated to Pilots N Paws, a volunteer organization that connects pilots with other rescue groups to transport dogs in need to safe havens. 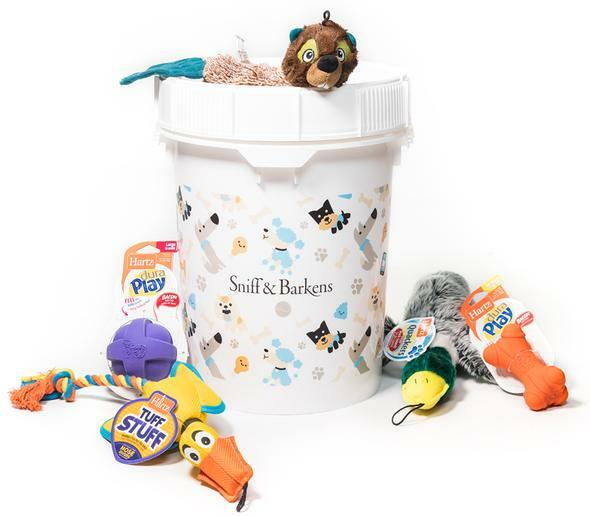 If you’re looking for the perfect gift for your dog this holiday season, or if you need a give for dog-loving humans, order your Sniff & Barkens Barkens Bucket today!